Along with birds and animals, these beauties were sighted along the trail. In 2000 as part of our millennium project. we were adopted by the Bruce Trail as the only "satelitte" loop in the trail system. 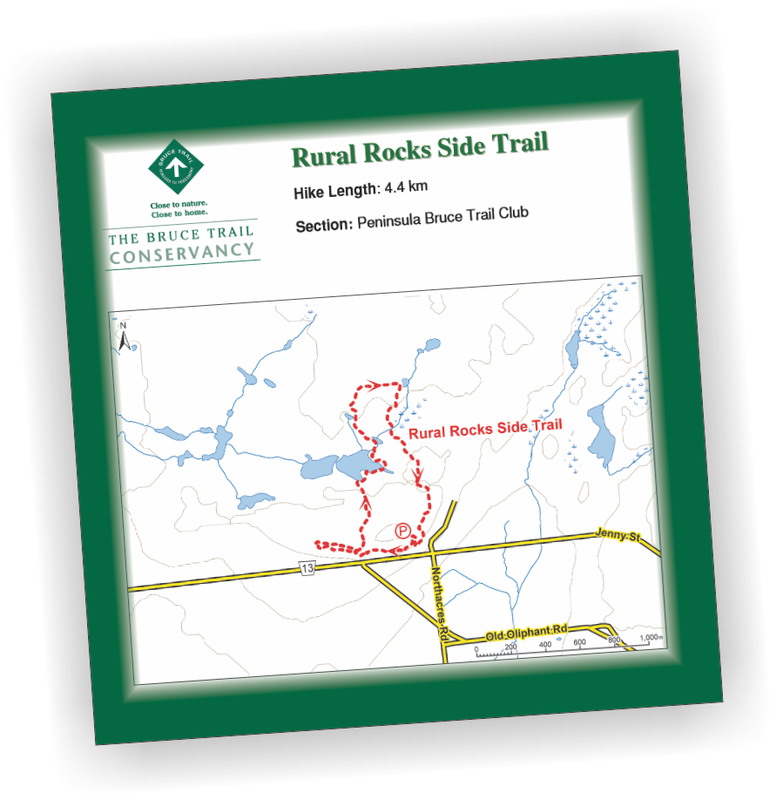 In the Bruce Trail guide book our trail is called Rural Rocks side trail. It is a 4.2 km loop that begins at the parking lot at the bottom of our hill. The first section goes through a wonderland of jumbled rocks complete with crevice caves. The land levels off and the trail takes you back to a 10 acre beaver pond. After circumnavigating the pond and reaching the northern boundary of the hundred acre woods, there are a couple of boardwalks across lesser beaver ponds. Then a final climb back up, cross the laneway and either take it or continue down the trail to the parking lot. We were told that if you only had half a day to get a taste of the entire length of the Bruce Trail, that Rural Rocks Side Trail would be the ideal place to come!!! The only satellite trail in the Bruce Trail system is open to the public year round. It is accessible from the parking lot at the bottom of the hill. Don't forget to climb the hill and say hello to us during business hours!